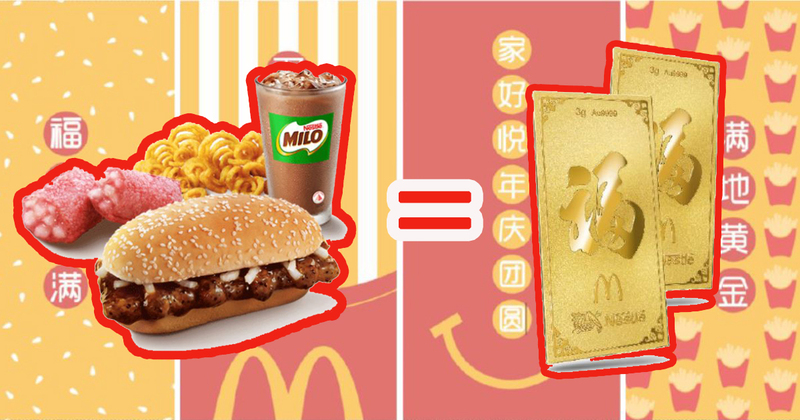 Starting 24 January, McDonald’s Singapore presents Singaporeans with a collection of returning Chinese New Year classics – the Prosperity Burger and Twister Fries – and the latest addition to the breakfast menu, Hotcakes with Golden Chicken. The Prosperity Beef or Chicken Burger returns in single and double patty options, available from S$5.50 and S$7.50, respectively, just in time for the Chinese New Year. Add greater fortune to a Prosperity Extra Value Meal by upgrading your French Fries to the Prosperity Twister Fries for just S$0.70. 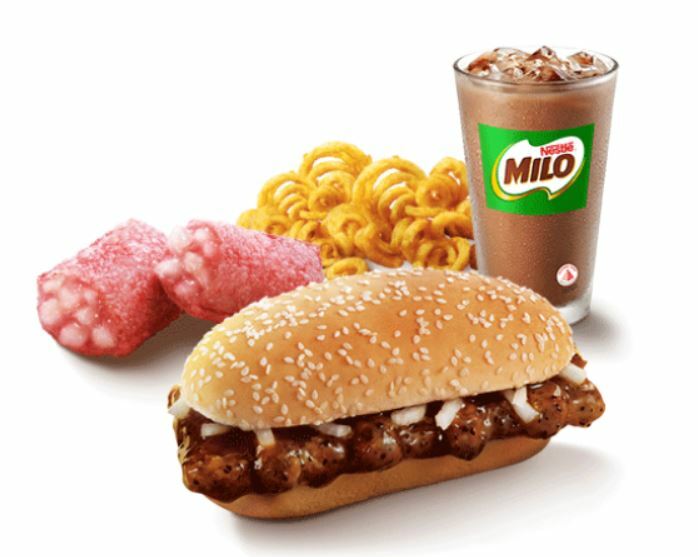 Indulge in the Prosperity Feast, the perfect combination of Prosperity Burger (Beef or Chicken), Prosperity Twister Fries (M), Peach Pie, and Iced Milo (S), from S$9.50 while stocks last. 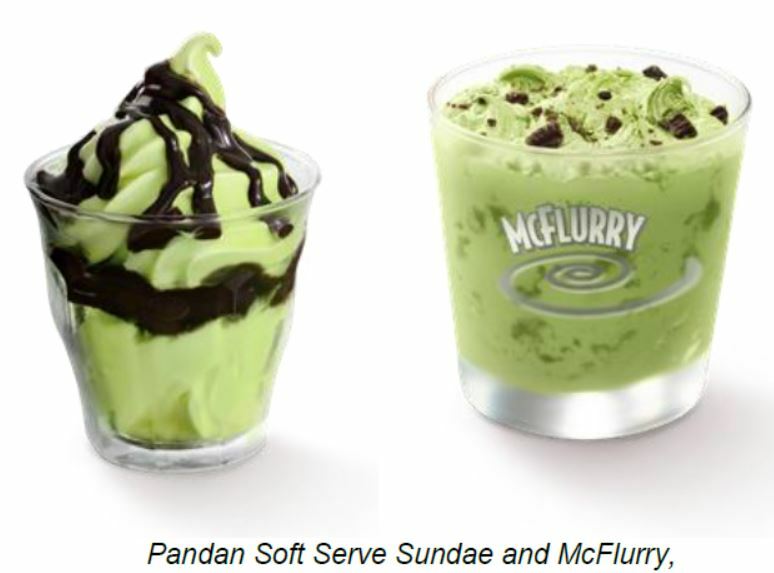 The popular Prosperity items are available at all restaurants and via McDelivery and GrabFood after breakfast hours, but for a limited time only or while stocks last. 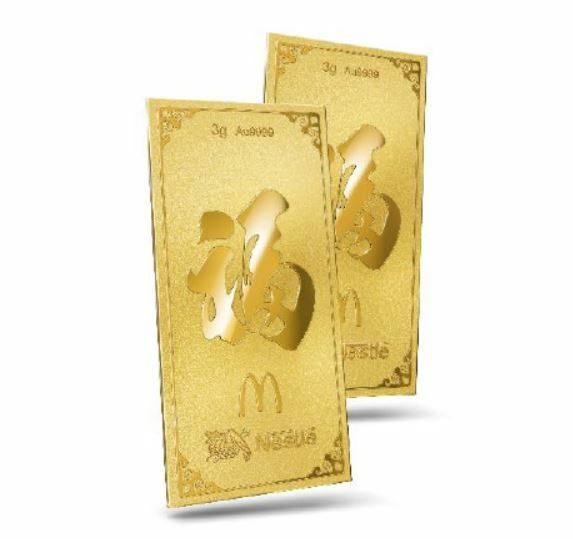 For the first time ever, McDonald’s will also be offering three lucky customers daily the chance to win a pair of Prosperity Nestle Gold Wafer Bars, worth $868, starting from 5 February until 27 February. Simply purchase a Prosperity Feast, at any outlets or via McDelivery, and SMS “PROSPERITY <space> YOUR NAME <space> INV# <receipt number>” to 9753-9368 to stand a chance to win a pair of these valuable bars. Each receipt gives customers one chance to enter. The giveaway terms and conditions, as well as daily winner announcement, will be available on the Prosperity campaign page. Usher in the new year with these three pieces of hotcakes drizzled with syrup and margarine and paired with a golden chicken cutlet. You can munch in this delectable meal for only S$6.50 at any participating stores islandwide and via McDelivery from 24 January only during breakfast hours, while stocks last. The Peach Pie, available from S$1.40 a la carte, is packed with a smooth filling of succulent white peach chunks wrapped in a pink crust. The Peach Pie is up for grabs while stocks last at all restaurants, Dessert Kiosks and via McDelivery and GrabFood. 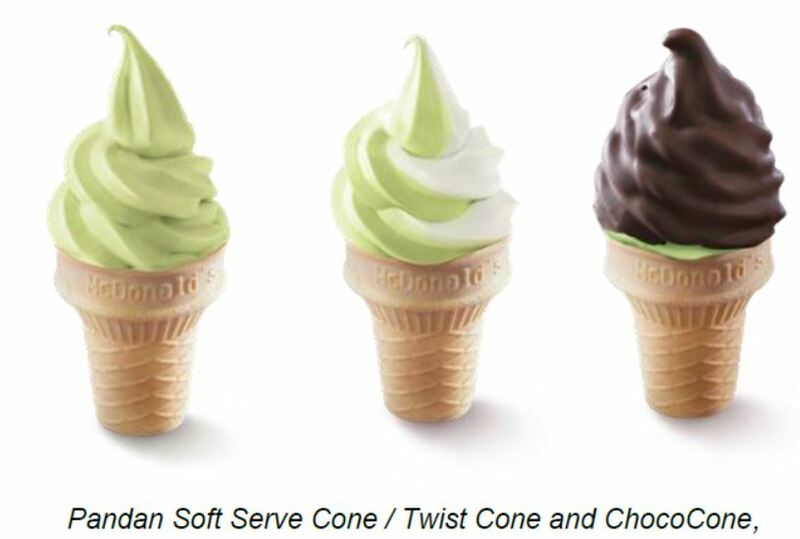 The Pandan Soft Serve is exclusively available at all Dessert Kiosks1 and available in a Cone, ChocoCone, Sundae and McFlurry, from $1.00, $1.20, $2.00 and $3.00 respectively, while stocks last. Customers will receive a set of red packets, consisting of four different designs with every purchase of the Prosperity Feast, whether in-stores or via McDelivery® and GrabFood, available from 24 January, while stocks last. As part of McDonald’s 40th Anniversary in Singapore, this year’s Prosperity Campaign features the “Taste of Home” television commercial. Shot entirely in Hong Kong and produced by advertising agency DDB, the commercial ties in with McDonald’s® Singapore’s year-long campaign “Come Home to McDonald’s®” and brings to mind the importance of family togetherness during this festive season. 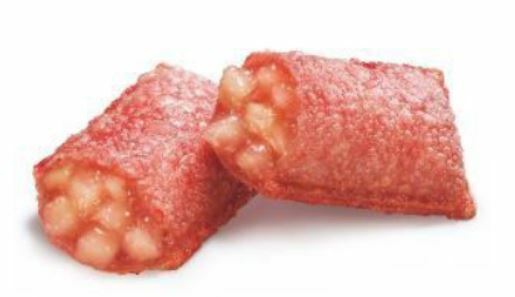 You can watch McDonald’s® “Taste of Home” video here.